Here are some changes that are expected to be the game changers for the HR industry. The Human Resources function has evolved drastically in the last 5-7 decades. We can see how it has shaped itself to address changing business needs – be they labor laws in the manufacturing ecosystem, or related to the boom in the services industry. Analytics: While analytics has been an ongoing activity within the HR function, off-late it has started becoming more and more integral to the function. It has developed and provides new levers such as sentiment analysis, which can be used to address attrition in a company by making it more predictable. This leads to a strong focus on analytics leading to capability assessment and development. Similarly, as organizations are trying to experiment with the performance management processes they are trying to generate analytics around real-time performance data. Evolution of the gig economy: Organizations are faced with a different set of challenges towards management of gig economy. The relatively new trend of the gig economy throws up issues like automation, on-demand hiring, freelance workforce etc. The HR function needs to cater to these trends and yet outline a career path, while also providing reasonable visibility to the permanent workforce over a period of time. Continuous feedback: For feedback to be effective – especially for the millennial workforce – it needs to be given at a higher frequency, rather than the standard once or twice a year. The industry is, therefore, trending towards a continuous feedback mechanism, for which data points and observations are more real-time, to create an immediate impact. This trend implies a greater need for the HR function to balance out short term (reward & recognition, on job development etc.) vs. long term (capability building, cost evolution etc.) tools for growth. 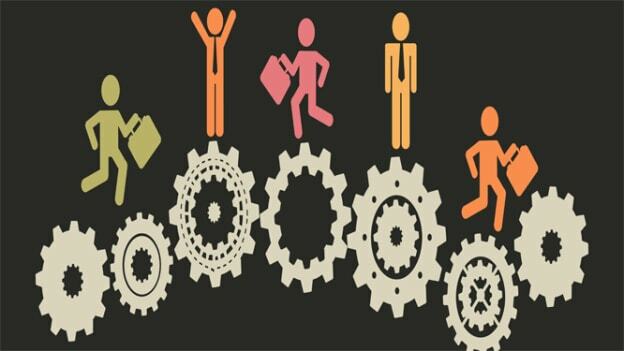 Gamification of HR: With the current multi-generational workforce defining a common effective way of running the HR processes is becoming more and more complicated. Using millennial tools like gamification in selection, learning, feedback etc. is, therefore, gaining increasing popularity. Increasingly, organizations are also experimenting with simulated work environments, game-based delivery of learning modules, gamified employer branding including wellness etc. This trend is only likely to gain more popularity going forward. Evolution of hiring process: Too often, business needs capable individuals who can join at short notice. This puts pressure on the hiring process, and can lead to appointment of fake candidates, biased assessments, or an increase in hiring mistakes. More and more organizations have started shifting towards a combination hiring process like interview and psychometrics or interview and some tests. As this trend matures organizations have also started investing in figuring out mechanisms to remove biases from the hiring process. I am sure finding a seat on the table is no more a puzzle for HR professionals to figure out. It is there for them to occupy. The challenge today is shifting towards HR teams making a meaningful impact to the bottom line. All the trends indicated above would lead towards a more engaged and capable workforce which in turn will have a direct impact on the bottom line, hence these trends are here to continue over the next few years.